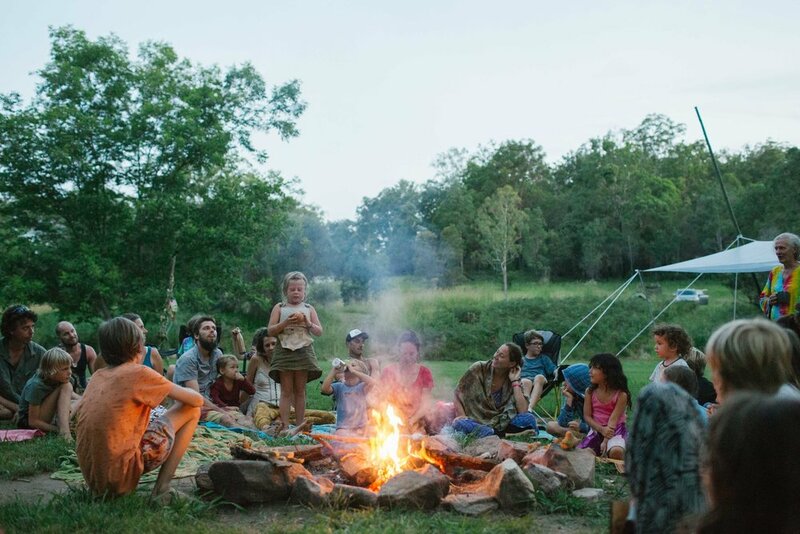 Nature Philosophy's WILD VILLAGE FAMILY CAMPS are an invitation to play with earth based skills, connect with nature and be deeply nourished through village connection. Nature Philosophy's WILD VILLAGE is a safe space to leave behind the routine ways of our day to day lives and as an organic tribe explore earth based family relating. As a Wild Village we will take a deep dive into remembering your family’s place within the natural world. Every morning our Village Young People will be offered to gather up and head away from camp on a guided wander into the natural environment. These adventures are child directed and can include games, wandering through nature, playing with clay, storytelling, making primitive fires, swimming, exploring bush craft, survival skills and more... At all times the kids will have qualified bush skills mentors at their side – guiding, deepening and protecting their play. By lunch time this group will return to camp for an afternoon of relaxed unstructured Village time. Children 4 years and under are welcome to spend their days close to camp and under the supervised eye of their parents. 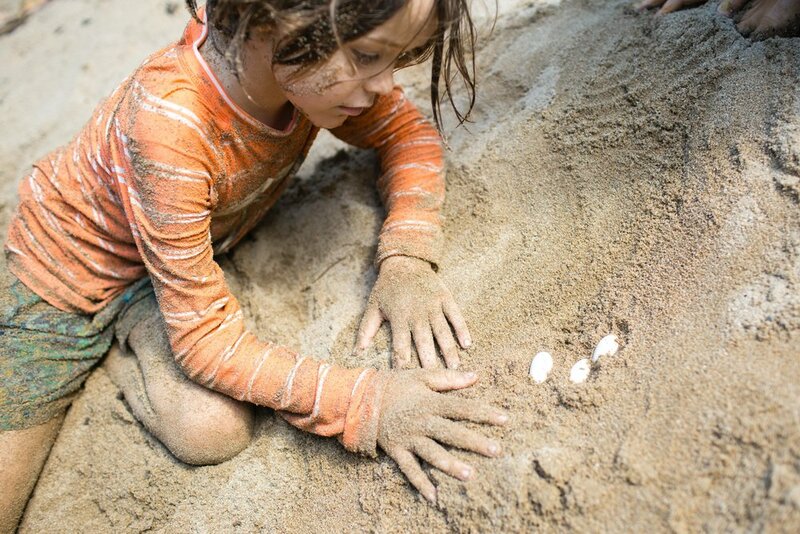 Each day families will be able to explore core nature connection skills such as Primitive Fire Making, Basket Weaving, String Bark Processing, Pottery, Shelter Construction and Nature Awareness Skills. Participation in any activity offered is optional and dictated by the organic flow of the whole Village. The communal Village space is a beautiful place to sit and connect with other parents and families. Nature Philosophy's WILD VILLAGE regularly welcomes local Gumbaynggirr Elder Mark Flanders to join us in camp. Uncle Mark's visit is a highlight for our Village, as he share stories about local Aboriginal culture, Gumbaynggirr wisdom and traditional bush foods. Indigenous Parenting Principals are also explored through Kate & Sam's direct experiences of community life in North-East Arnhem Land, NT. The Wild Village recognises both the Gumbaynggirr and Yolngu people as elders in our journey of exploring village connections and the power of earth based communities. The WILD VILLAGE family experience facilitates deeply relaxing into our wild surrounds so we can all unwind and organically move through our days with resting, playing, learning and yarning. All Village members will be free to move in and through the area as their instincts dictate and, as per a truly earth based tribe experience, young children will be warmly welcomed into every aspect of our Village community. The Wild Village allows us all to discover and know we belong to something bigger - bigger than the "me" ideology which so often dominates our modern world. We invite you to join Nature Philosophy's Wild Village and connect into a global movement where the ancient traditions of earth based communities are once again finding their relevance in the modern world. $440 per single adult with no family attached. Price includes a minimum of 4 hours/day for 5 full days of wild bush adventures, men's and women's circles and earth skills instruction with skilled mentors. Camping accommodation, dinner each night and workshop materials. Arrivals & Departures: Arrivals are between 12 - 2pm on the first day of camp. Departures are 2-3 pm on the final day. Venue: The WILD VILLAGE FAMILY CAMP is held in a beautiful wilderness setting on the North Coast of NSW, approx an hour out of Coffs Harbour, NSW. There is ample room to camp and a beautiful creek for swimming. There is fresh drinking water available on site, feel free however to bring your own water. Food: All dinners will be provided for and ready by 5.30pm every night. Every family will need to bring food for the rest of the day. You can choose to be completely independent with your extra cooking needs or choose to use the communal area. Communal Area Facilities: There is ample clean ground water available in main cap. A communal camp fire cooking area & sturdy compost toilets. We suggest you bring your own cooking equipment, dish washing tubs and esky for the length of the camp.